Available in: 8.5°, 9.5°, 10.5°, 11.5°, and HL (High Loft - 13°). Left hand available in 9.5° and 10.5° models. Briefly: The original SQ Machspeed had a square head, but the Machspeed Black is available both in square and round versions. Having tried the original Machspeed and been very impressed, we decided to try the round head of the Machspeed Black and found it to be the equal of anything we've tested of late. With optimal aerodynamics throughout the swing, air moves closely over and around the club head, reducing drag for maximum speed and energy at impact. STR8-FIT eight-position adjustability provides the ideal face angle for any swing, any shot and to help correct some of the most devastating hooks and slices. The tapered heel geometry and toe-side aerodynamic Nike Powerbow design promote smooth airflow around the head for quicker acceleration. 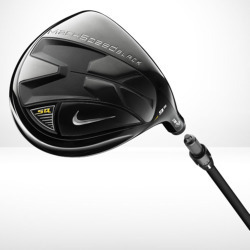 As speed increases so does drag force, but the Nike Powerbow and Sole Diffuser design keep the flow of air close to the surface of the club which helps to minimizes drag and enocourage faster acceleration. STR8-Fit eight-position adjustability provides the ideal face angle for any swing and any swing. We could keep this short by stating that of all the drivers we've hit so far this year, this is our favorite by far. It wouldn't be a terribly thorough review though, and probably wouldn't give you anything you needed to know. We should also point out we've yet to hit the TaylorMade R11, or Callaway Diablo Octane and Razr Hawk. Regardless of whether the club is fit for you or your 84-year-old grandmother however, you're perfectly able to comment on its appearance, and the Machspeed Black looks absolutely great. 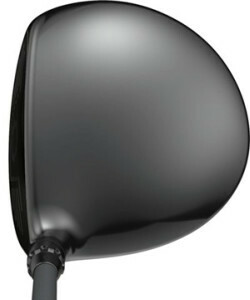 We hit the round-head, as opposed to the square-head version, and thought it every bit as attractive as Cleveland's DST Launcher or, indeed, its handsome new driver, the XL270. 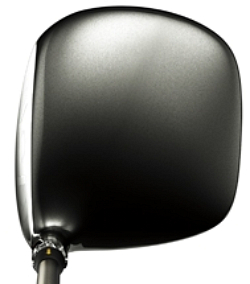 The more triangular shaped clubhead that designers favored in recent years seems to have been abandoned for now, and BellinghamGolfer is not unhappy about that. While the head is very black, it is also very round - a sophisticated, almost traditional combination we like very much. Being picky though, we might say the STR8-Fit Hosel bulges a little, but you'd detract no more than quarter of a point for that. The propriety Nike grip is nothing fancy but plenty 'grippy' and does exactly what you ask of it. The 47.75", 52g Fubuki X4NG shaft likewise performs pretty much as you'd want it to although, with 6.9 degrees of torque, it doesn't quite possess the torsional stability of many of the custom shaft options or, indeed, the Proforce AXIVcore that we tested in the original Machspeed. With a 95mph swingspeed, however, the Fubuki is perfectly adequate. The titanium face gives a nice crack at impact and, with the 11.5-degree club BellinghamGolfer tested, the ball flies high in a nice uniform curve, rather than ballooning and plummeting - though that's as much the result of the ball's characteristics as the club's, of course. 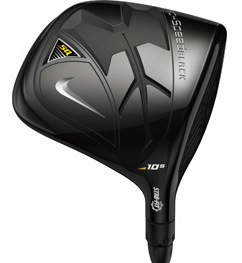 As far as we're aware, Nike hasn't made any meaningless claims about the Machspeed Black giving you an extra three of four yards (as if the average golfer can discern an extra three yards) but it certainly won't lose you any and, provided you get a suitably spec'ed club, will make a very welcome addition to your arsenal. The STR8-Fit Adjustability feature gives you 32 possible face positions but, to be perfectly honest, BellinghamGolfer was happy with the setting it came out of the box with so didn't feel the need to get busy with the wrench. We did test it to make sure it works though and can report that...it does. And yes, a small adjustment can make a big difference both visually at address and in the sort of shot you hit, so make sure you have the face set at the position that gives you the longest straightest drives you can hit. If you're getting along well with your original Machspeed, finding a lot of fairways and hitting it a reasonable distance, we don't see that there's any great need for an upgrade. 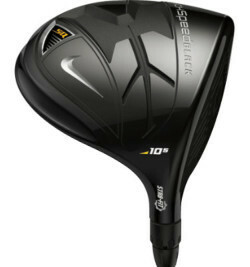 If you've not bought a driver for a few years though, definitely add the Machspeed Black to your list of clubs you need to try. If you favor round heads, you may not be terribly enthusiastic at first. But do, at least, give the square head a try. You might be surprised.